How to Repair M4V Video File? M4V is a video file format developed by Apple, which is used in iTunes. You can rename the M4V file to a popularly used video file format MP4, to play it on any media player. M4V video files are used in iPod, iPhone and iTunes store. You can download M4V file from iTunes store, which can contain movies, TV shows, music or any other video. Similar to MP4 and MOV files, the M4V file may also get damage and refuse to play on the media players. In such situations, use video repair software, to fix M4V video file from iPod or your computer. This tool is designed especially to repair corrupted video files of any format. Incomplete Download: Occurrence of errors while downloading a M4V video file from iTunes store causes damage to the downloaded video. Virus or Malware attack: Like other files, M4V is also very prone to corruption due to virus, malware or spyware attack on storage media where the M4V files are stored. A virus may occur on your system due to browsing of unauthorized websites or through removable drives. File Header Corruption: M4V video file header becomes unreadable if you try to play it on incompatible media players. If the header file is corrupted, then the video becomes completely unplayable on any media player. File format conversion: M4V video file may get corrupt if you have used improper technique for converting file format. Incorrect termination: Abrupt termination of playing video due to power failure, system crash, etc. causes severe damage to the M4V file. This software has all the necessary features to repair damaged M4V video file that you have purchased from the iTunes store. If you are getting errors from the M4V video file after downloading it from iTunes store, then you can fix M4V video file errors, to make it perfect playable video. 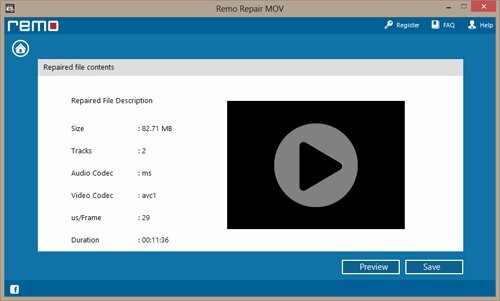 To repair damaged M4V video file, you need not to have technical knowledge since the tool has been developed with fully automated repair process. You just point your M4V file towards the software, preview the repaired video and then save it on the desired location. You can also use this software to repair Canon MOV file and the details regarding this is given at - http://www.videorepairsoftware.com/canon-mov-file.html. 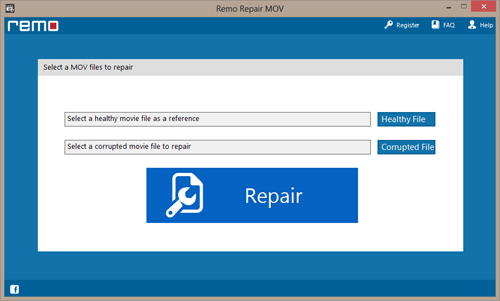 Step1: Select your M4V file using “Browse” option and then click on “Repair” button from the welcome page of the software as shown in Fig 1. Step2: Now the software will scan the selected video, fixes all errors from it within a couple of minutes. You can also use “Preview File” option to view repaired video before saving as shown in Fig 2. 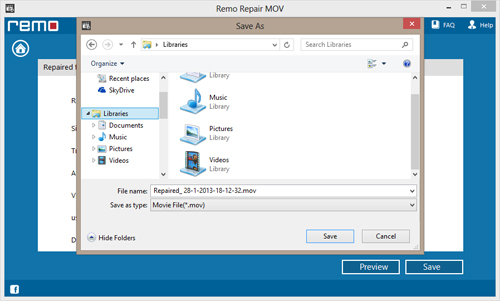 Step3: Save repaired video on any drive accessible to your computer, using “Save” option as shown in Fig 3.